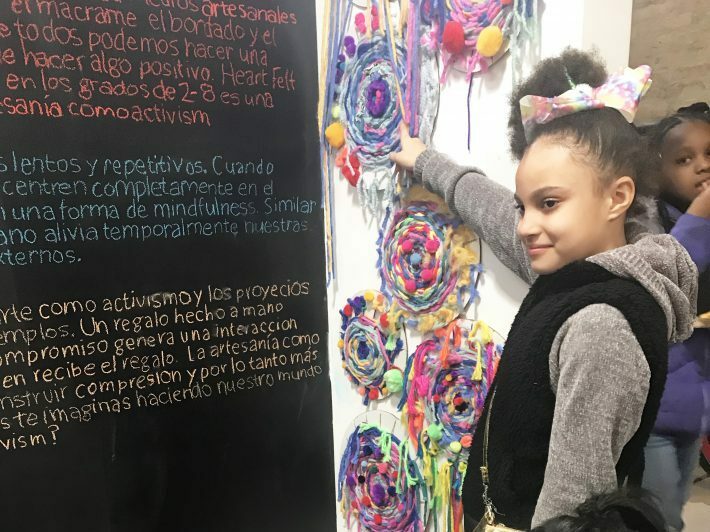 This is a guest blog post by the Children’s Museum of Art and Social Justice, which is located in Chicago, IL. Their mission is to act as a voice for individuals whose perspectives are often omitted from the mainstream dialogue. They seek to showcase their artistic explorations of social injustices and to inspire action toward political and social change. Learn more at cmasj.org. 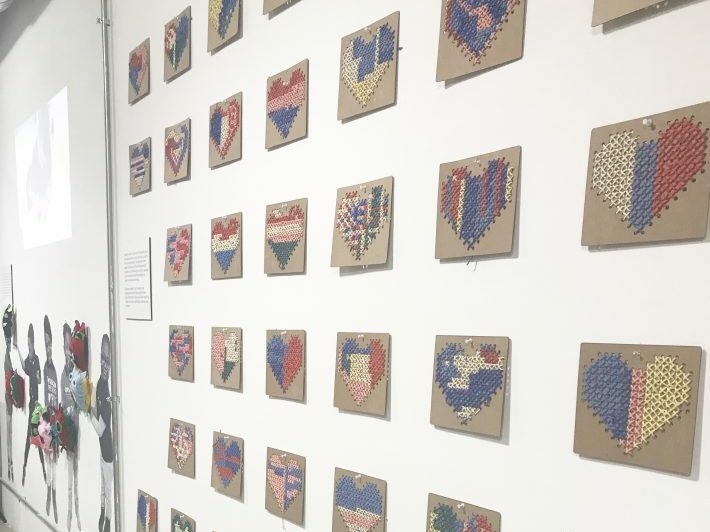 Craftivism is a form of activism using traditional craft media such as sewing, weaving, macrame, embroidery, and cross stitch. It acknowledges that we can all make a difference and that craft is one way to do something positive. 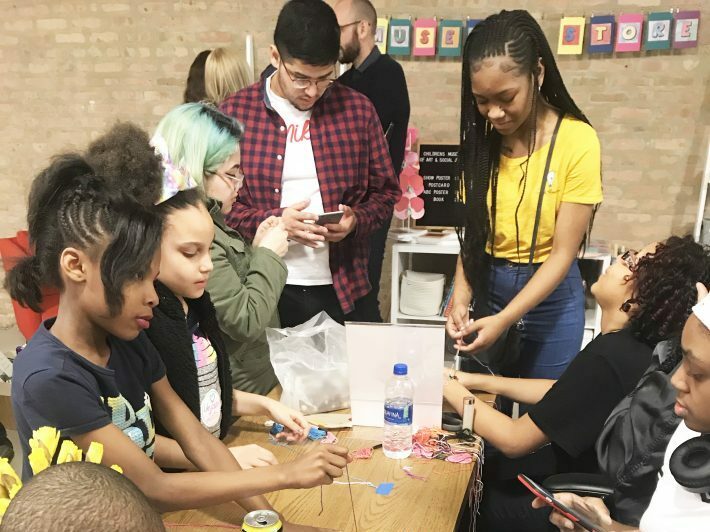 Heart Felt and Sew Kind, created by students in grades 2-8, is a multimedia exploration of utilizing craft as activism currently on view at the Children’s Museum of Art and Social Justice in Chicago. The inherent nature of craft involves slow and repetitive gestures. When we allow our minds to fully focus on the making process, it becomes one form of mindfulness. Similar to a yoga class, making something by hand temporarily relieves our minds and bodies of outside stresses. 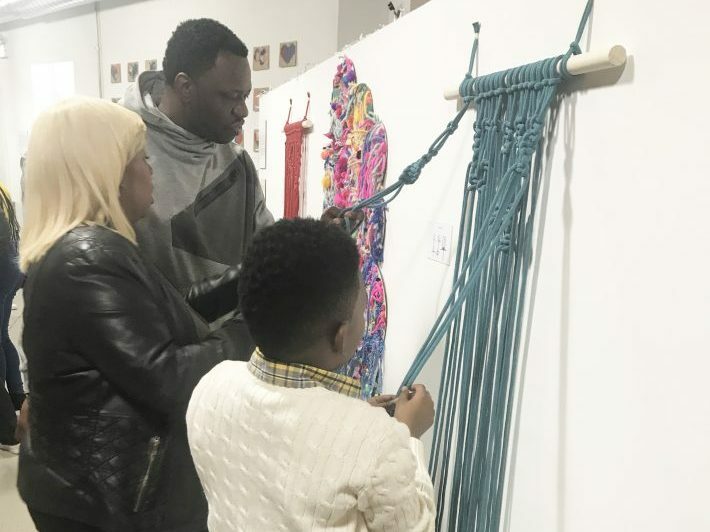 There are infinite ways to use craft as activism and the projects on display at the Children’s Museum of Art and Social Justice are just a few examples. A handmade gift as a gesture of kindness and outreach creates a powerful interaction between maker and receiver. Craft as a form of communication seeks to build understanding and therefore more love and peace. What other ways can you imagine making our world a better place through craftivism? 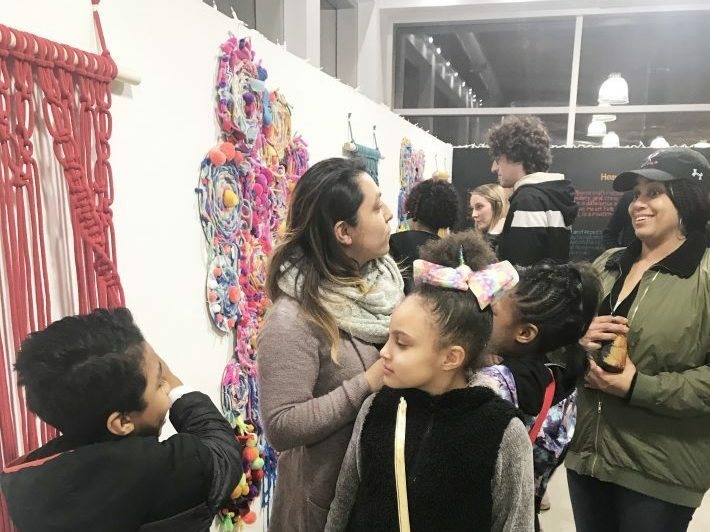 Check out some of the students’ projects below as well as photos provided by the Children’s Museum of Art and Social Justice from the March 8th opening. How do you practice craftivism? Share with #CMACIVICKIDS! 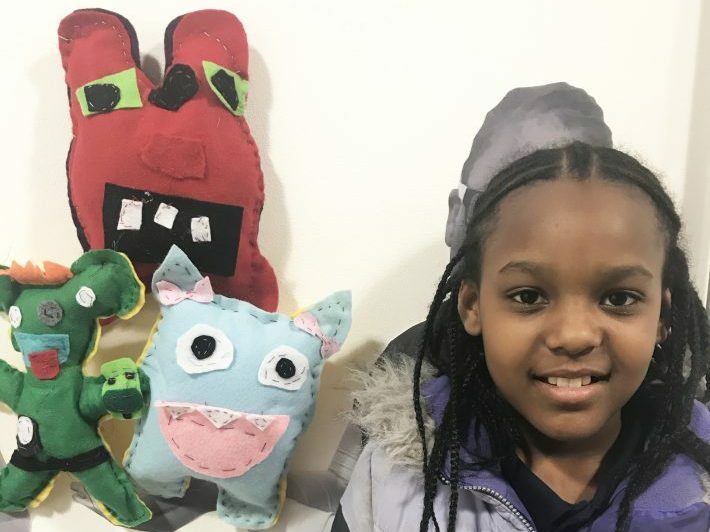 Students in Ms. Thomm’s 3rd and 4th grade visual arts classes learned to sew and created plushies. After creating and sending Valentines to the residents of a local senior center, the students decided they would take a trip to the center to give the residents the plushies in person. The plushies became an act of outreach, allowing for both parties, decades apart, to form a meaningful relationship. Students in Ms. Culkowski’s 5th grade visual arts class learned to cross stitch as a way to practice mindfulness. The students were asked to take note of their feelings before and after cross stitching for an hour, opening up a conversation about the meditative quality of making something. Students created a list of people and organizations they’d like to gift the final cross stitch hearts. Each one will be carefully mailed as an act of gratitude, kindness, and outreach. Mr. Cross’ 8th grade visual arts class learned to embroider as a tool of communication. Students reflected on where they’ve come from and where they are headed through embroidery over self-portraits. The finished embroidered pieces tell their personal stories through symbols, color, shape, and line. The students of Ms. Schubow’s 2nd grade visual arts classes learned to weave as one form of meditation and mindfulness. While weaving, students worked to pay attention to their breathing in rhythm with the over-under-over motion of the weaving. 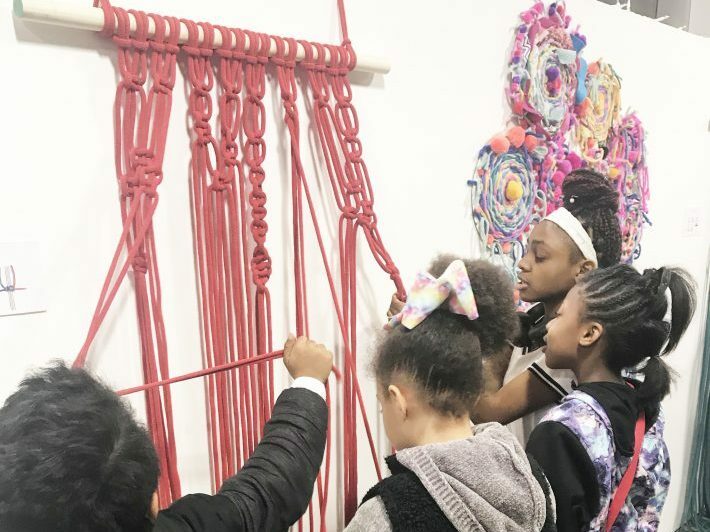 The 90 circular weavings will hang as an installation in their school to serve as a visual reminder to practice the mindfulness techniques they’ve learned. The two small installations here are on loan to us before they serve permanently at KIPP One Primary. Ms. London’s 6th grade visual arts class explored the history and traditions of African basket weaving. They also examined the various ways these traditional processes, as well as others, are often copied and commercialized. 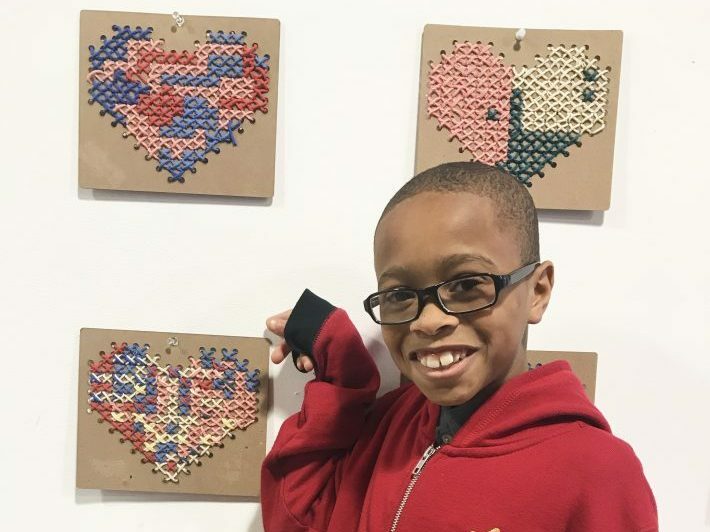 By participating in a traditional craft, students are joining a larger community of makers while learning about the origins of an object that has become so recognizable.